Summer is cleaning time at school. When the kids leave, lockers get emptied, and unclaimed Lost & Found items are donated. The painters come in and freshen up the walls. Long-term maintenance projects are tackled. One day Jeff brought a ladder to our class and looked for Asher's airplane on top of the cubbies - thank you, Jeff! One time when Siena went potty and water came out the toilet, Jeff fixed the potty and no more water! Thank you, Jeff! 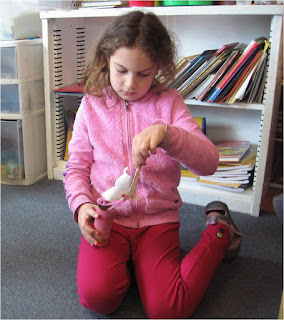 The first and second graders in Mrs. Rapp's class have been studying butterflies, which is always an appropriate spring activity, and special fun if the butterflies actually hatch before the school year wraps up. 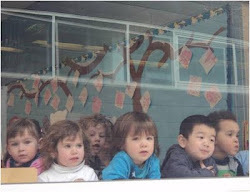 Here the board outside their classroom shows models of the different butterflies the kids have been studying, complete with requisite cocoons. Butterflies don't have ears. Question: How do they hear? With their antennas! Some fly to Mexico, mate there and their children fly back. Others don't migrate and live for only a few weeks. Here a peek at their butterfly farm where they are raising painted laides. 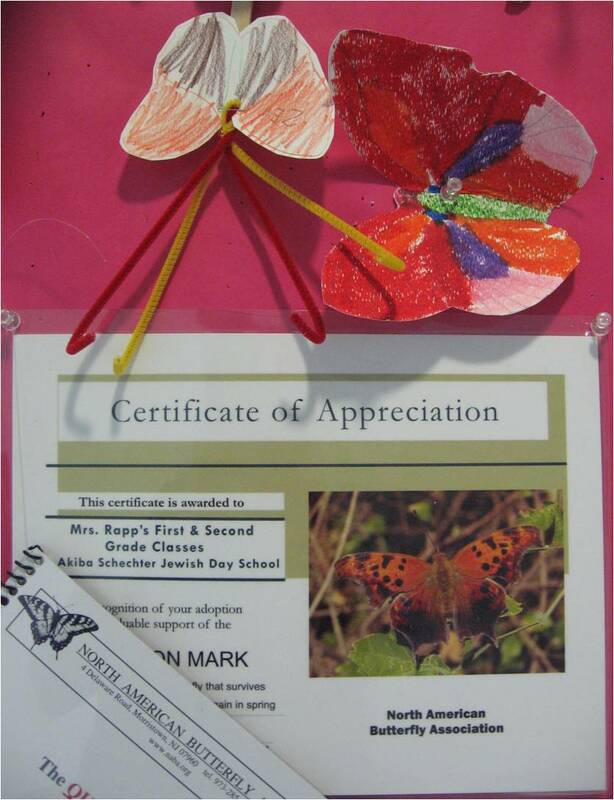 Each child "adopted" a butterfly, and the chrysalis is labeled with his or her name. Not only does each student have a butterfly, the class also adopted a question mark butterfly through the North American Butterfly Association. The question mark butterfly was recommended by the Association because, they reasoned, kids ask a lot of questions. *Answer to the question of where there are no butterflies to be found on Earth?